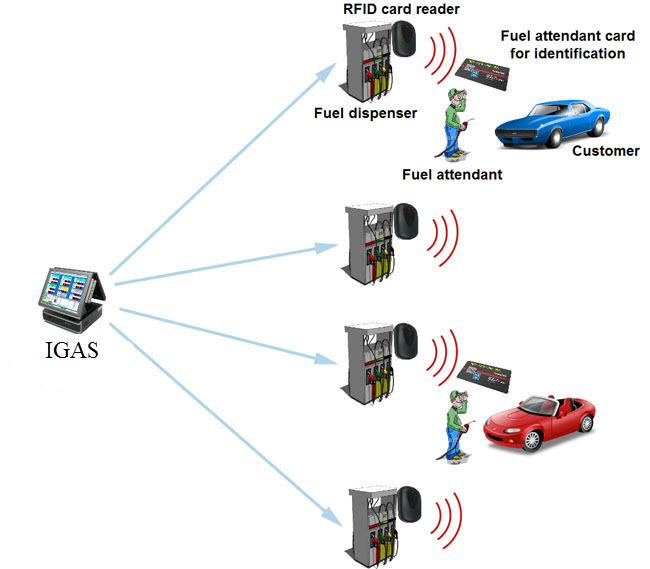 One of the commonly used methods of IGAS operation is when control over fuel dispensers is made by fuel attendants, who service customers. 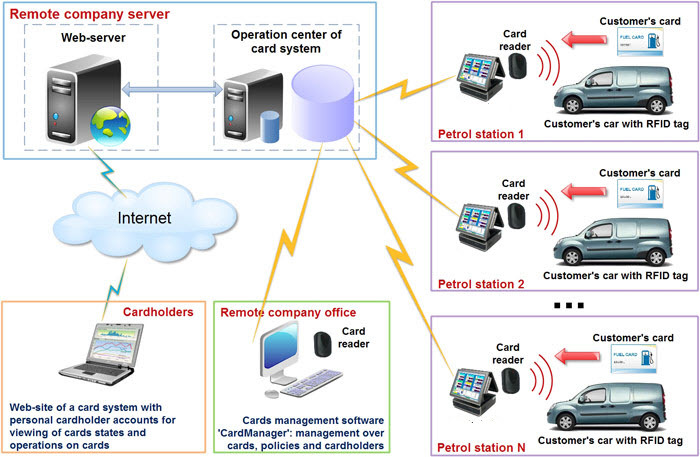 Fuel attendants operate dispensers and receive payment from customers. Fuel attendants control the fuel dispensers as if those worked in a standalone mode (administering starts automatically when the dispensing nozzle is lifted and trigger is pressed). In this mode it is possible to make fuel order preset (in volume or in money amount) from the dispenser preset keyboard. 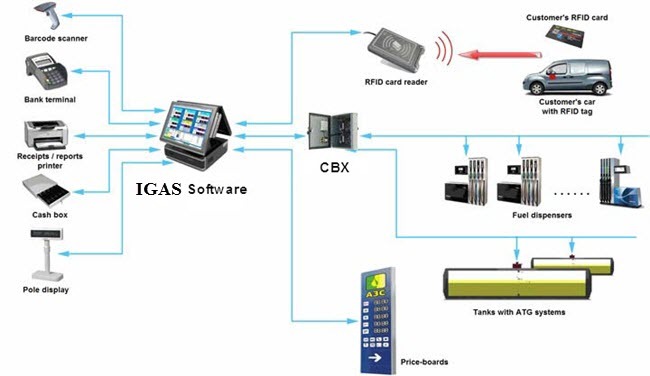 At this moment IGAS software monitors all the transactions being performed and writes all the information to its database. 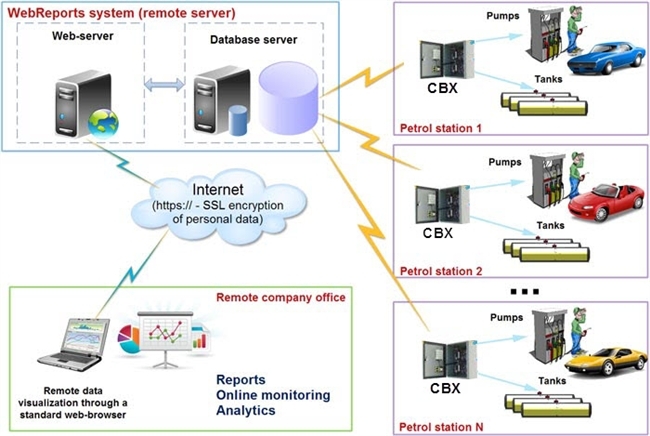 Also cashier at any time can see activity of every fuel dispenser and in case of necessity can stop any of them and receive reports on operation remotely from IGAS software. Receipts can be optionally printed after each dispensing.